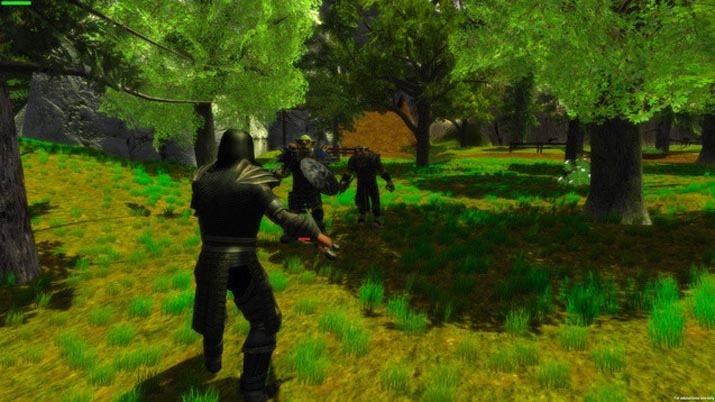 In Hero, you play as an armor-clad adventurer who finds himself in the midst of a battle between humans and orcs. After demonstrating bravery against a dragon that all but destroys a nearby town, the King sends you on a mission to persuade the Elves to join the fight. 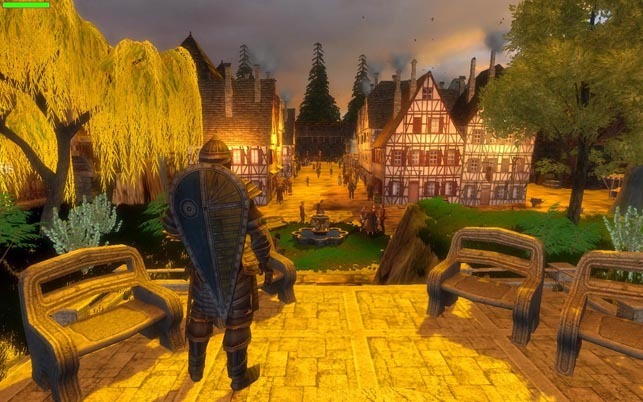 This fantastical story of Elves, Orcs, and dragons is par for the course in RPG's, a genre which the developers, Bakershah Games, have strived to pay homage to. The problem, however, is that Hero isn’t an RPG – at least not in the traditional sense. There is no character or class customization, no leveling up and very few impactful choices given to the player. The only hallmarks of an RPG are its setting, story and the ability to choose different responses in dialogue, though few of these options result in anything more than a different reply from an NPC. As such, Hero must be judged as a story-driven action-adventure title, and unfortunately, it fails to deliver an engaging experience by either standard. Visually, it’s a mixed bag. 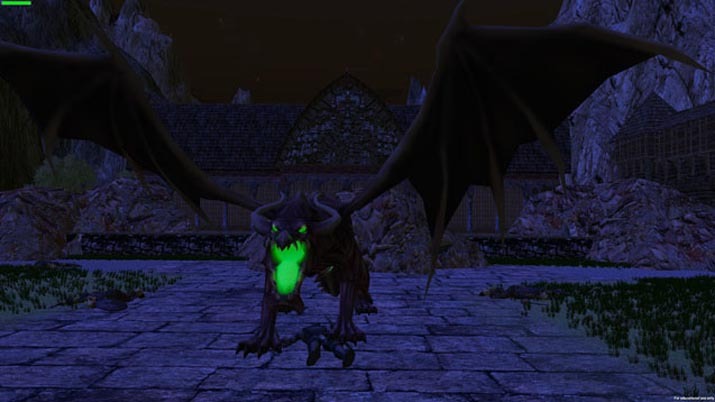 An example being how some assets and textures appear cel-shaded, consequently clashing with the game's relatively realistic graphics. Hero isn't the prettiest indie release: its animations, character models, and textures feel out of place as an RPG; whether this was an intentional homage or not is up to you to decide. What's odd is that in towns full of people, Hero ran at around 14 frames per second even though I have a more-than-capable PC. Besides the poor optimization, I encountered several bugs within the first minutes in-game, such as freezes and being glued to an NPC who kept pushing me as he walked forward. On this note, I should explain that Hero was made by two people in their spare time, and flaws such as these would be, I assume, expected. Nonetheless, for a substantial $9.99, a bit more polish is not an unfair expectation either. The small size of the development team can also be felt in the sound department, where the same voices are heard throughout Hero's runtime. To be fair, different accents and audio filters are given to certain characters, allowing some mileage to be gained from the limited voiceovers. The volume levels for the main character and NPC's fade in and out at random, which needless to say, is odd, but luckily there are subtitles so you didn't miss any dialogue. On a positive note, the music is well done and fits the medieval fantasy setting quite well. Environments also include some ambient noises such as birds chirping in forests, or raging winds on snowy mountains. When getting into combat, sword hits against enemies will produce a nice clunk as well as a vigorous yell from the main character. All in all, the sound design is fairly well done and one of Hero's better aspects. What isn’t done well is nothing less than… gameplay. Combat sees you clicking the right mouse button for a basic sword swing, “Q” for a shield bash, “R” to block, and both mouse buttons for a strong attack. The main problem with Hero’s swordplay is poor hit detection. It's seemingly random when the game decides to register a sword swing as a hit, with the usual visual cues offering little help. The distance one needs to be at to land an attack successfully is also unclear, which had me getting right up on the enemies to ensure my sword made contact. You can heal every 15 seconds with the press of the H key, ensuring you'll rarely die; this is good, considering the annoyance of having to walk back to your last location in the event of death. Another quirk of Hero's combat is the fact that you can hold down the block button and still attack at the same time. Even though there's no animation while blocking, continually clicking at enemies will deplete their health even more rapidly than with a standard attack. Tedious gameplay could be forgiven if it rewarded you with loot or experience points, but unfortunately, the only reward on offer is being able to progress through the storyline. Where Hero tries to capture the spirit of RPG's in gameplay is in the ability to choose different strings of dialogue. Most of these choices are inconsequential, though the developers have stated that decisions in this chapter will have effects in their upcoming episodes.